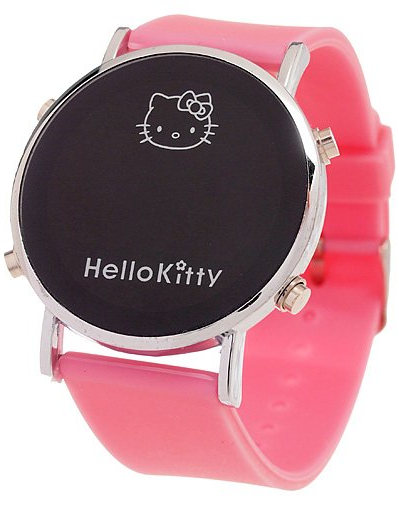 Hello Kitty LED Watch Only $6.99 PLUS FREE Shipping! You are here: Home / Great Deals / Amazon Deals / Hello Kitty LED Watch Only $6.99 PLUS FREE Shipping! on this LED watch with Hello Kitty on It! Get your own Hello Kitty LED Watch for Only $6.99 PLUS FREE Shipping!